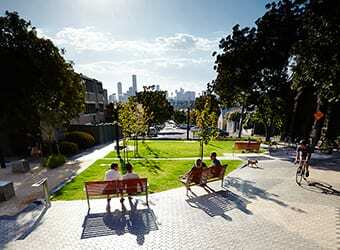 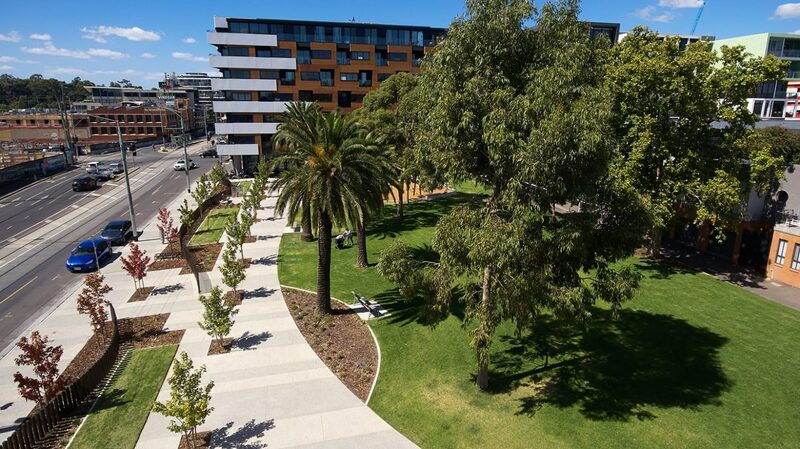 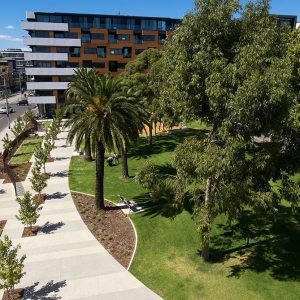 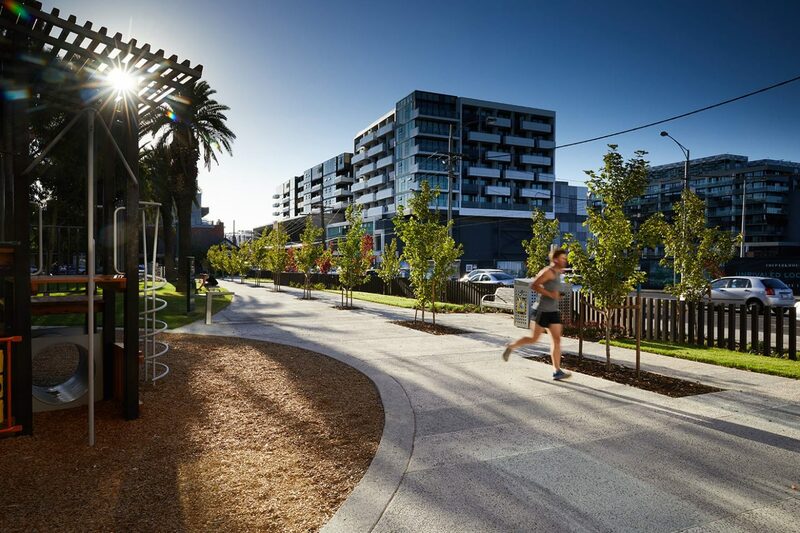 Located against the backdrop of multi-storey apartment buildings emerging around the Victoria Gardens shopping centre, Williams Reserve is a much-loved place of recreation and relaxation in the bustling inner-city suburb of Richmond. 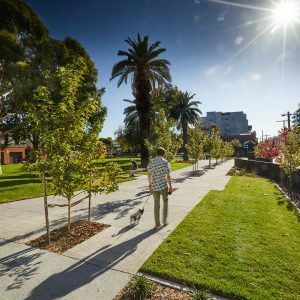 Following community consultation, the City of Yarra engaged Hansen Partnership to upgrade the existing reserve with a design that recognised the reserve’s historic importance, while responding to the ever-changing needs of residents, workers and visitors in an increasingly urban environment. 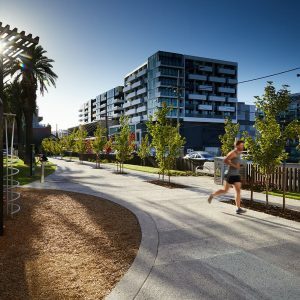 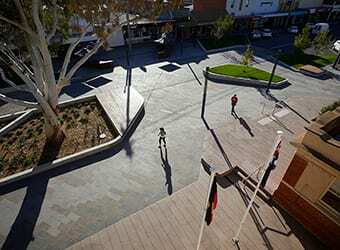 Inspired by the original heritage features of the reserve, Hansen’s design consists of curvilinear paths and retained mature trees, combined with a new pavement referencing the nearby ‘bar-code’ retail culture. 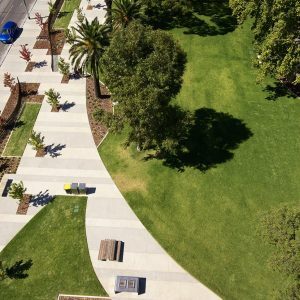 Extending to include the existing Victoria Street footpath, the new design engages visitors with smaller garden beds and lawn areas providing more intimate spaces for relaxation with a larger, drought tolerant lawn retained for active play. 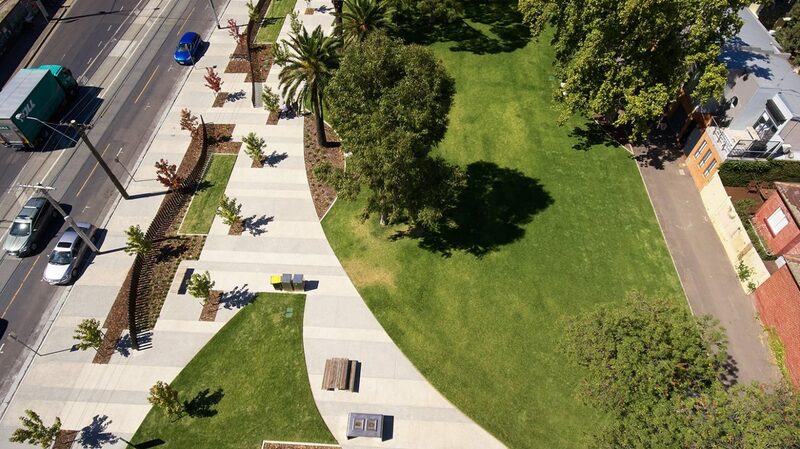 The former fence was reinstated as a curvilinear feature as a reference to the nearby Skipping Girl Vinegar sign. 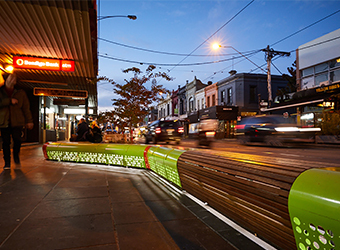 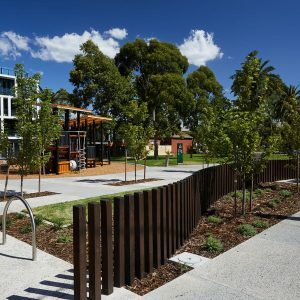 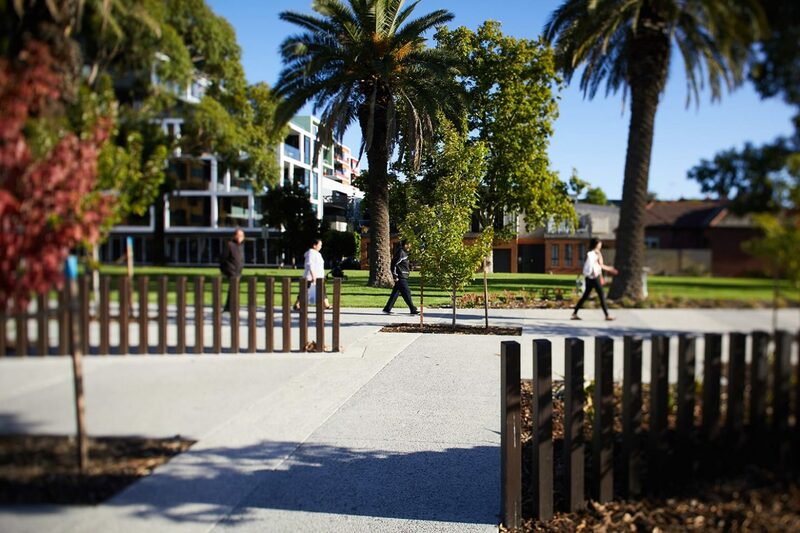 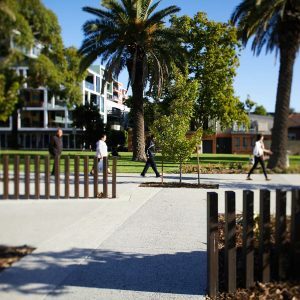 Designed as a permeable structure, the fence provides passers-by with multiple opportunities to enter Williams Reserve while allowing the reserve to extend to the edge of Victoria Street. 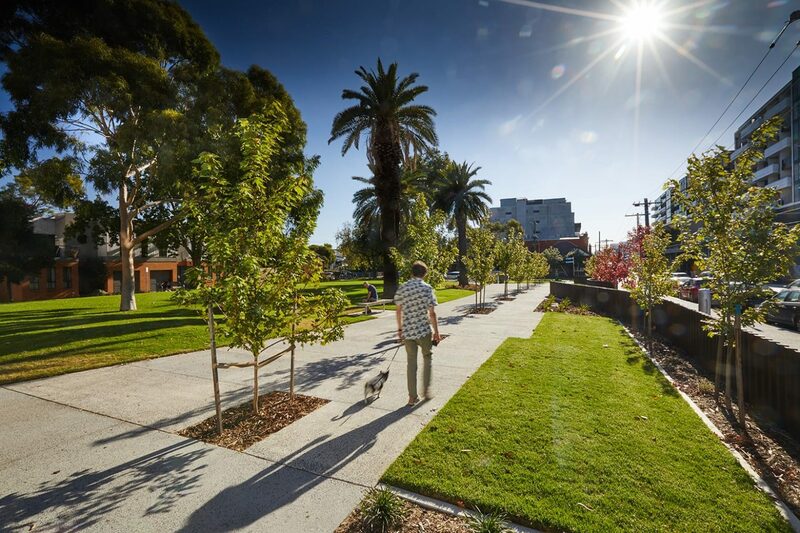 A new avenue of trees along the northern boundary forms a green backdrop to the reserve complementing the existing mature trees and providing summer shade and winter sun. 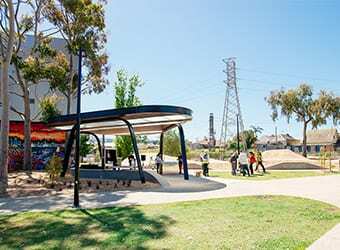 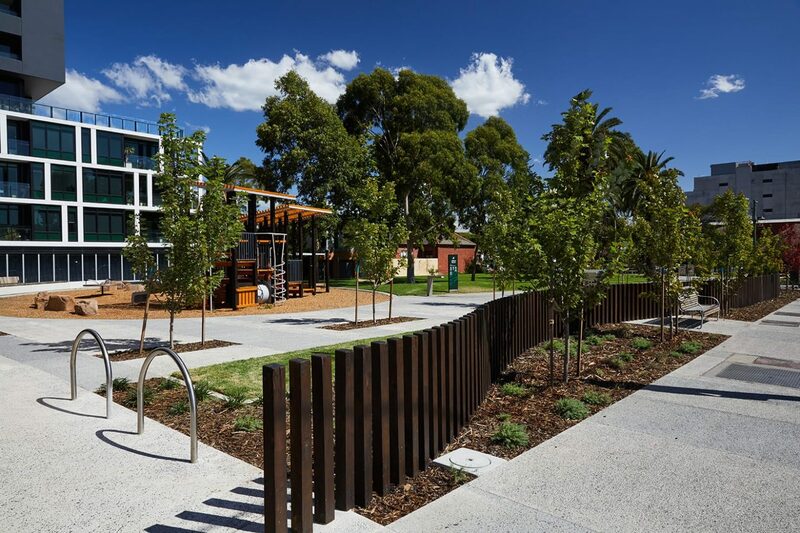 For residents, Williams Reserve functions as an extension of their backyard – an informal place to kick a footy, host a barbecue for family and friends or watch the kids enjoy the local playground. 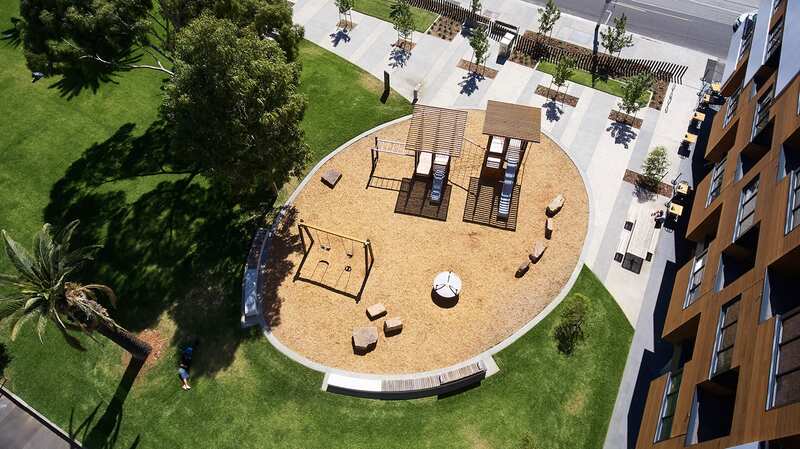 With this in mind, Hansen’s design included a new playground, picnic tables around a new barbecue area and numerous seating areas for the enjoyment of residents, workers and visitors.